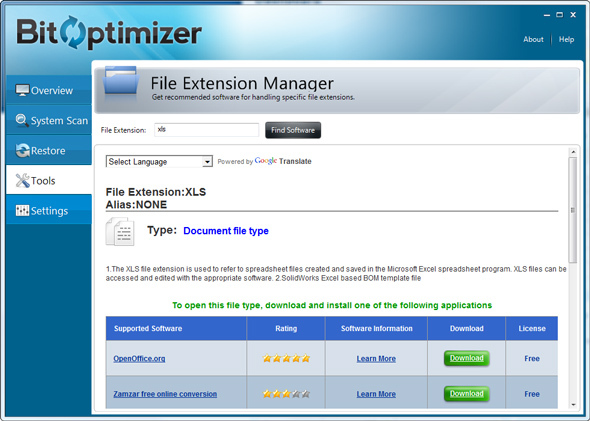 This feature conveniently displays the File Extension Manager where you then enter any file extension and find the available software for it. Search results include a description, information about the software, reviews, licensing (or free), and a link to the software so you can download the application of your choice. You will also be able to find duplicate files on your system and remove them quickly to free up valuable disk space.